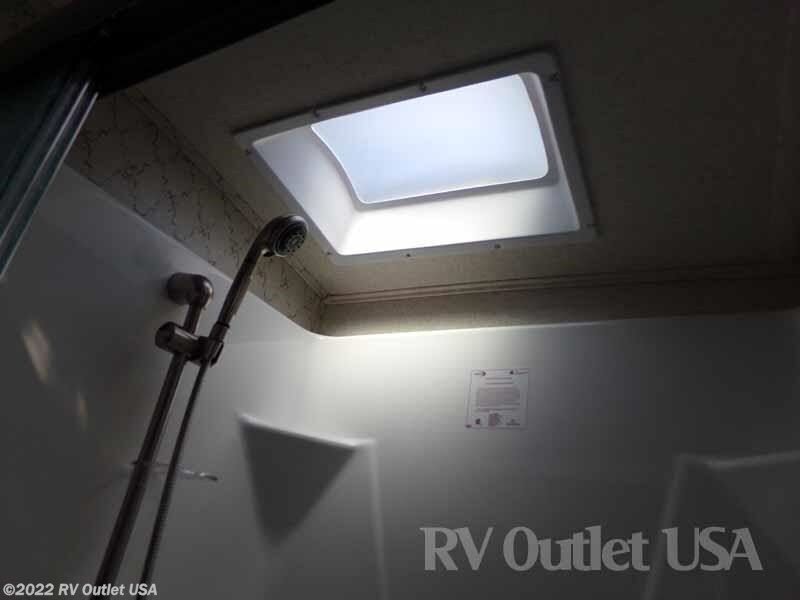 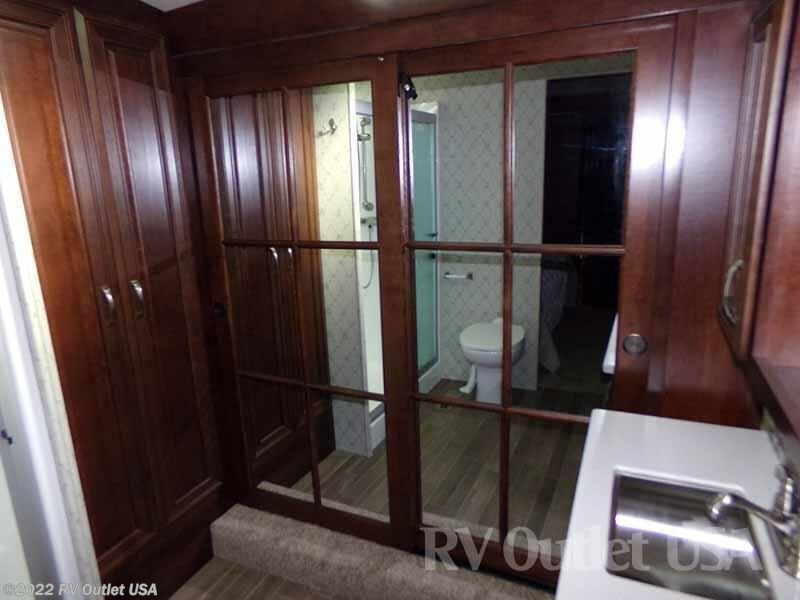 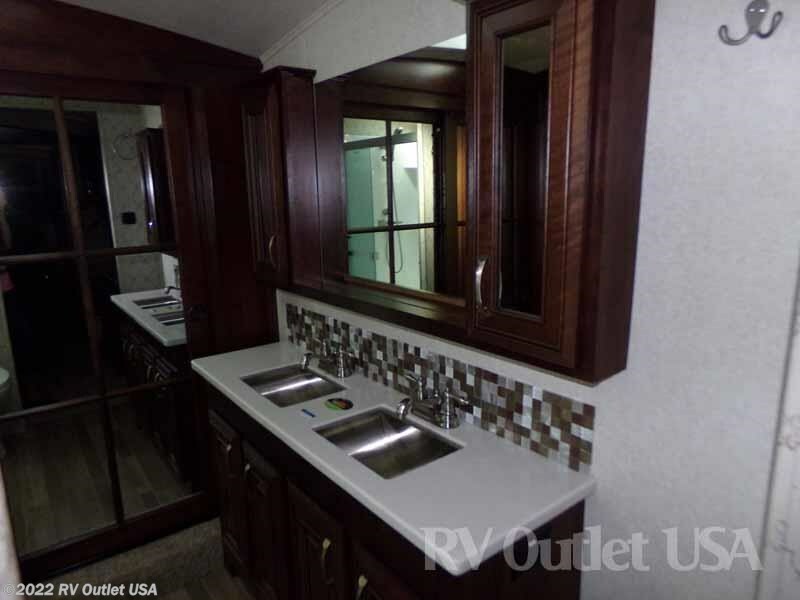 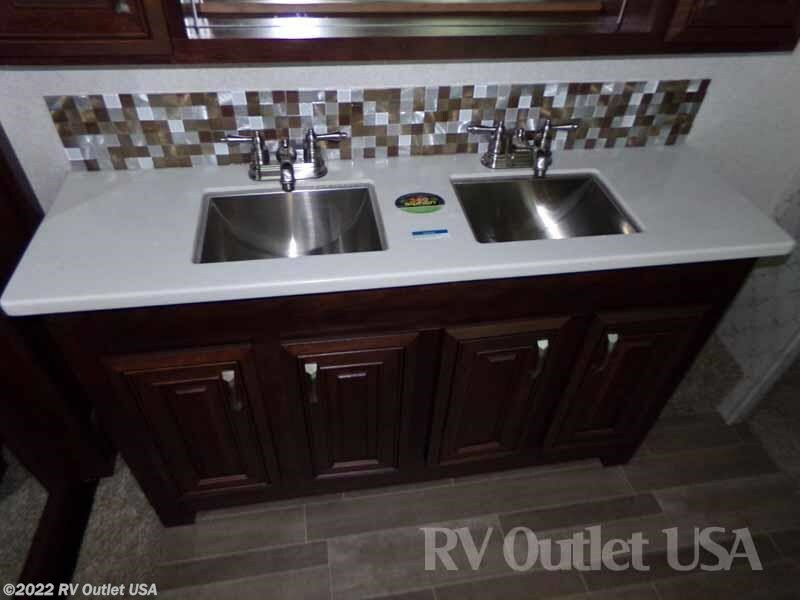 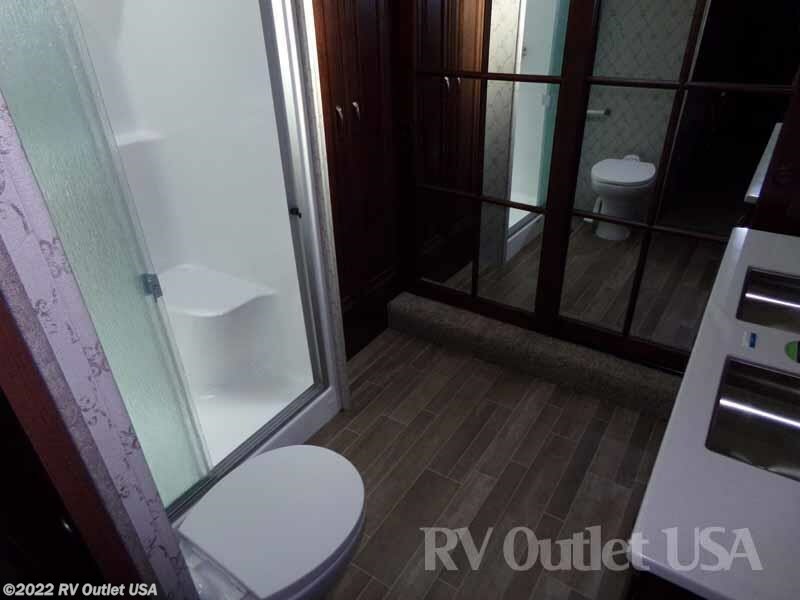 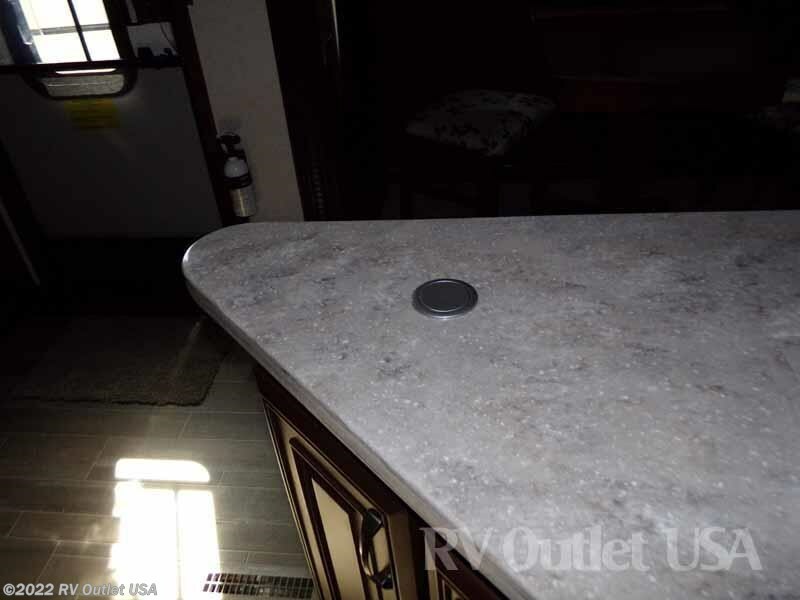 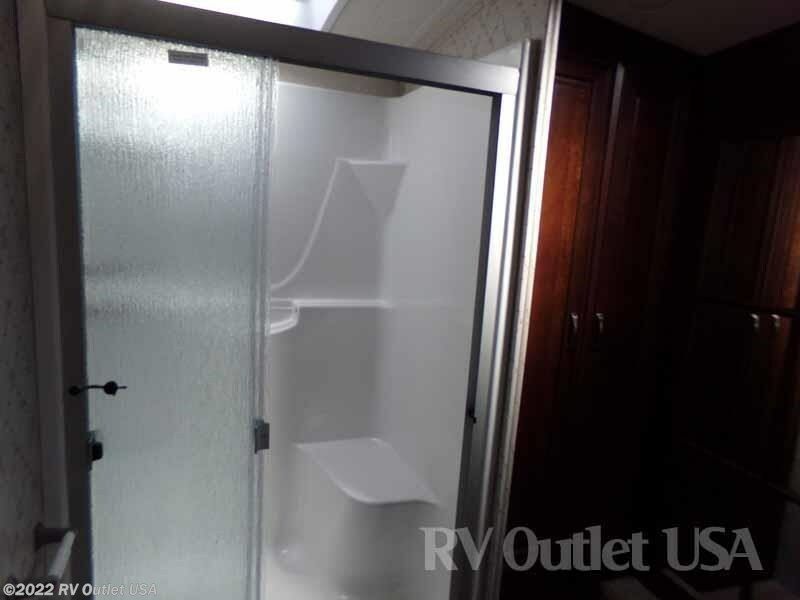 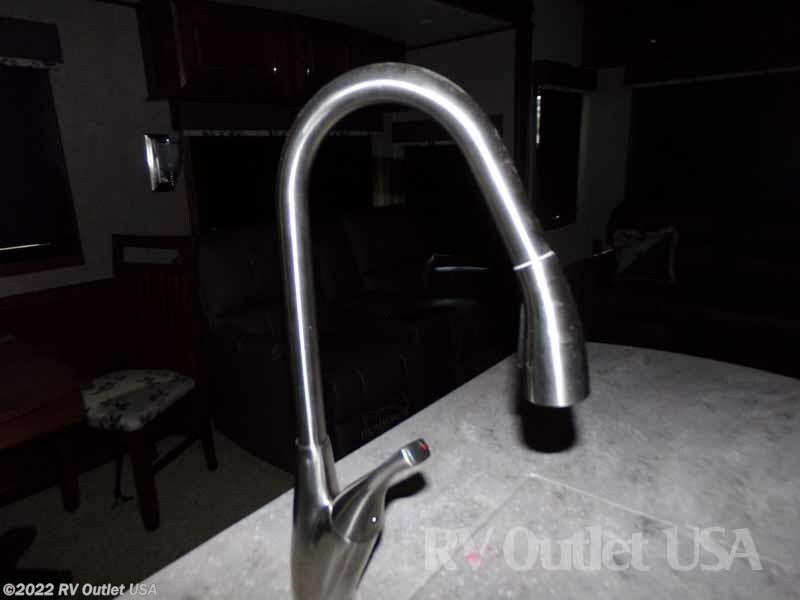 2018 JAYCO PINNACLE 36FBTS FRONT BATH 5TH WHEEL! 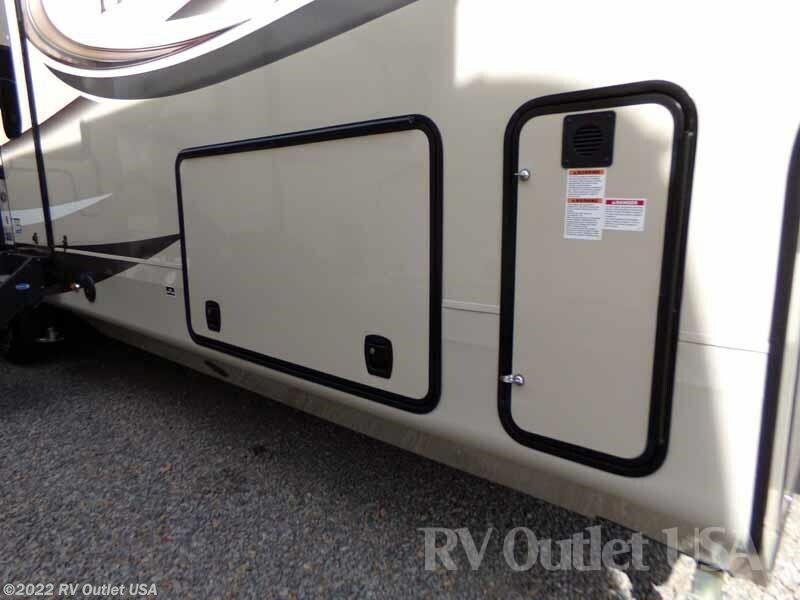 DUAL POWER AWNINGS ** SLIDE TOPPERS ** BATH AND 1/2! 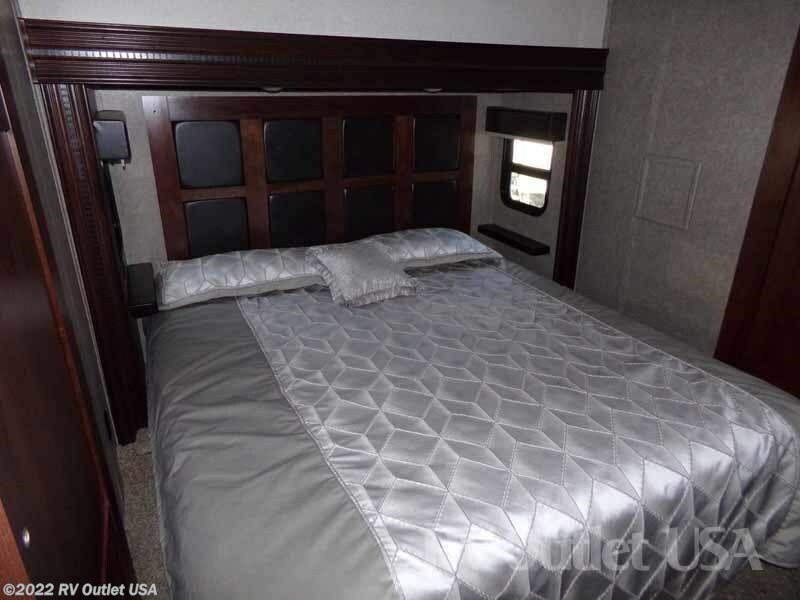 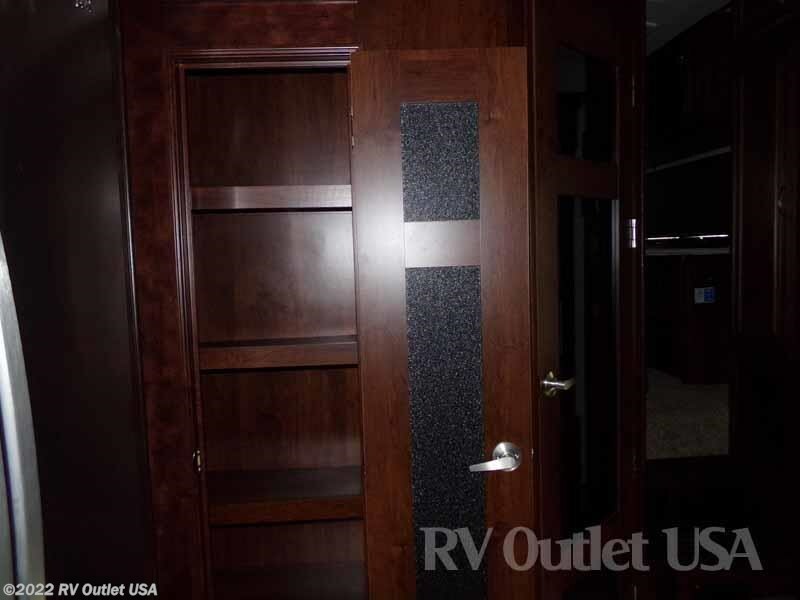 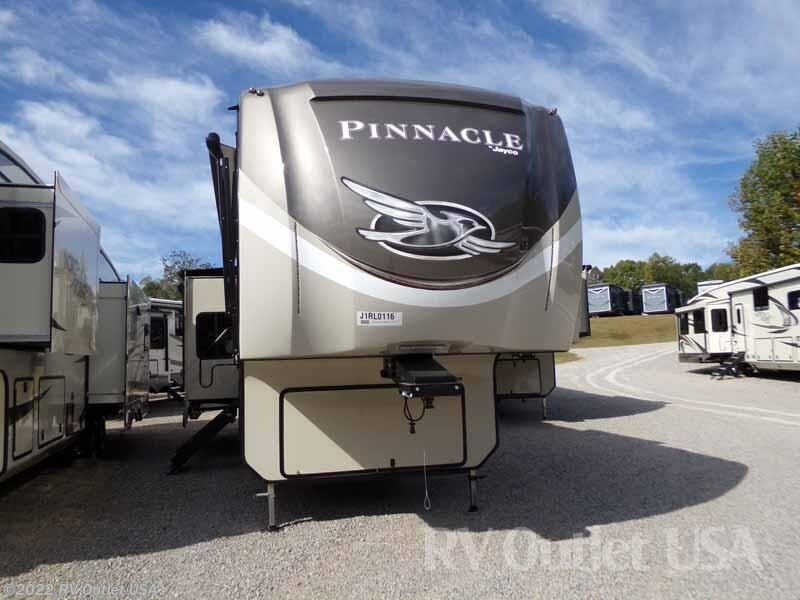 If you're in the market for a super high-end 5th wheel with a private master bedroom and a huge ensuite front bath, then you really need to take the time to walk through this new 2018 Jayco Pinnacle 36FBTS that we just got in. 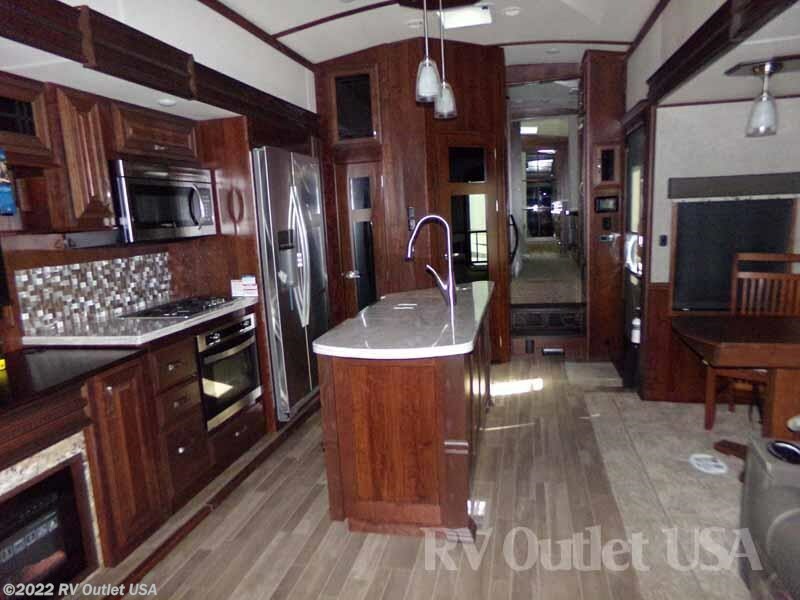 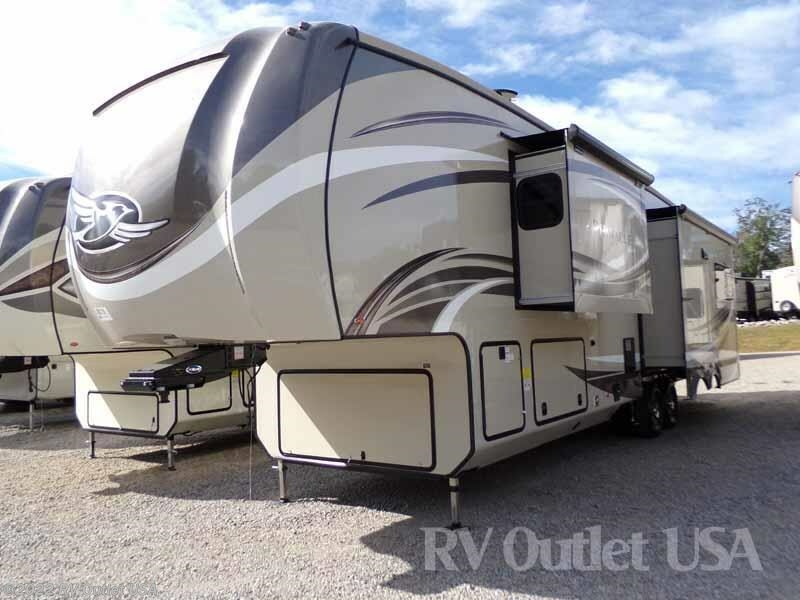 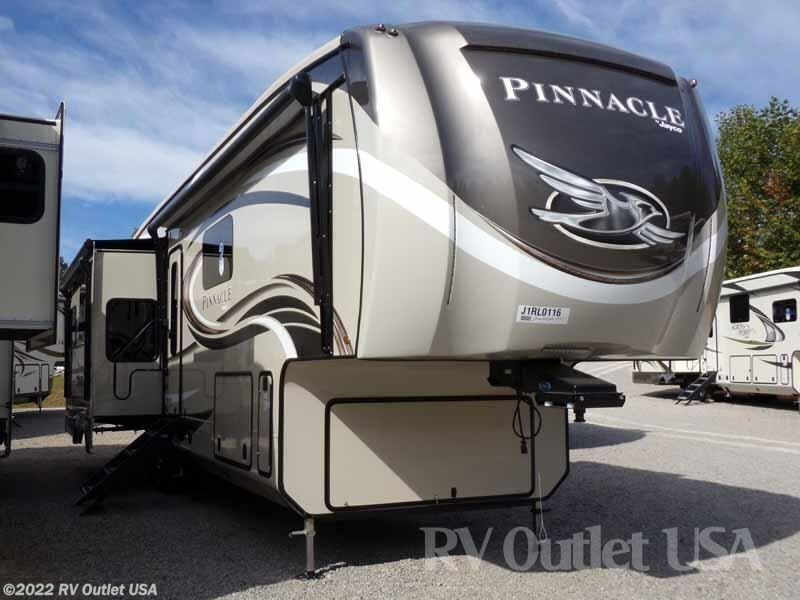 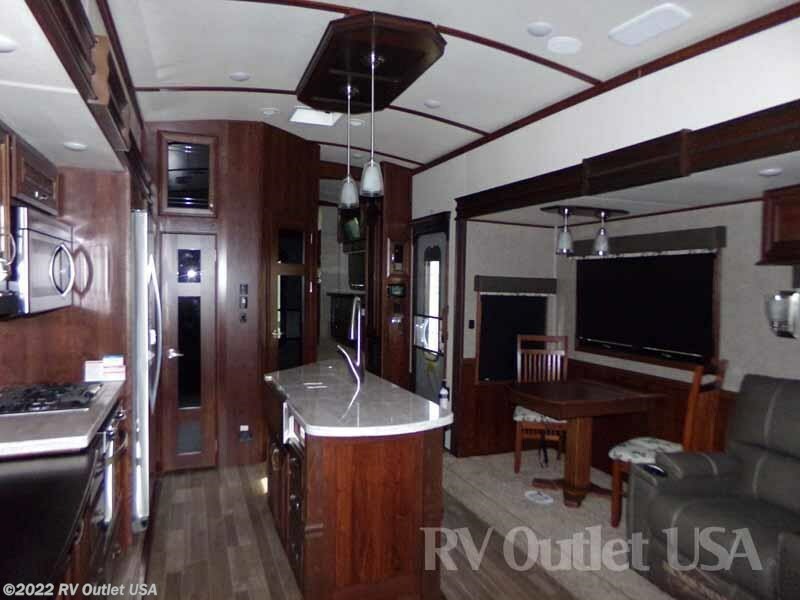 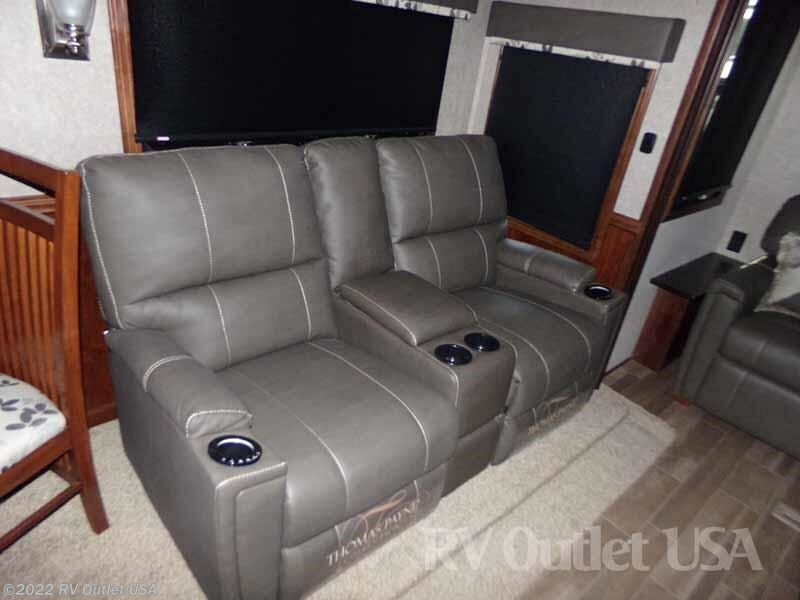 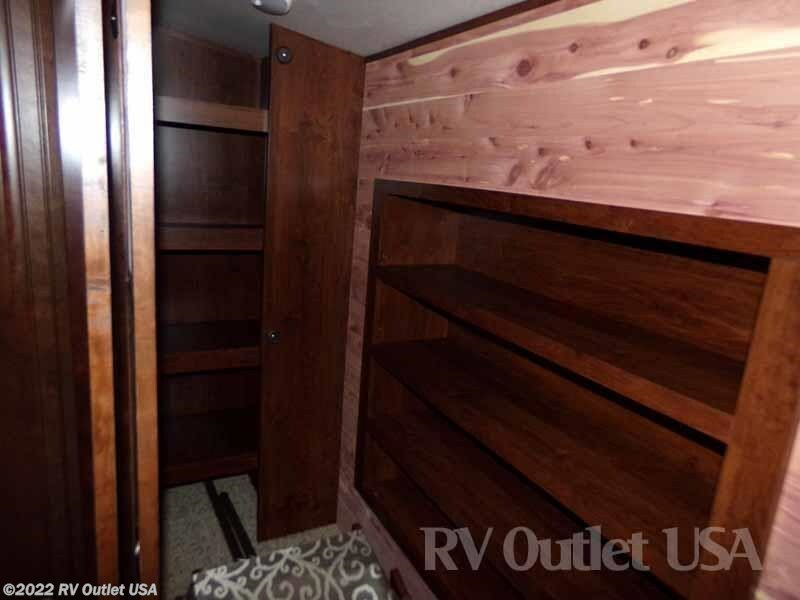 This 5th wheel has dual A/C's, dual power awnings and more! 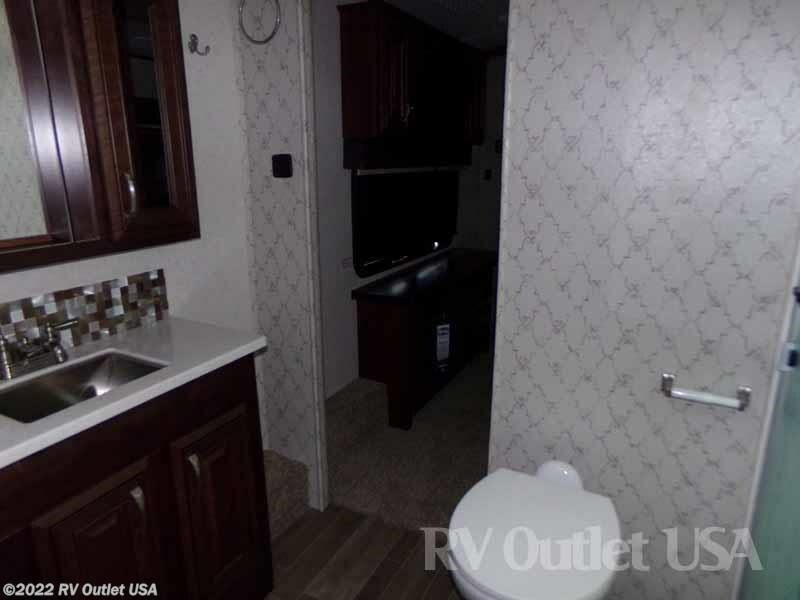 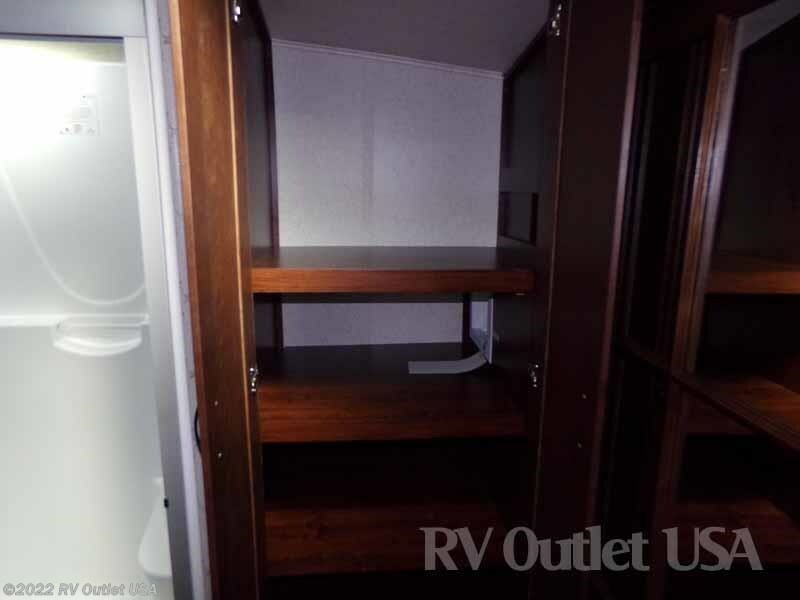 This 36FBTS has a full walk-in closet, it's been prepped for a washer and dryer, has a 36" wide adult size shower, a porcelain foot flush toilet and across from that is dual sinks! 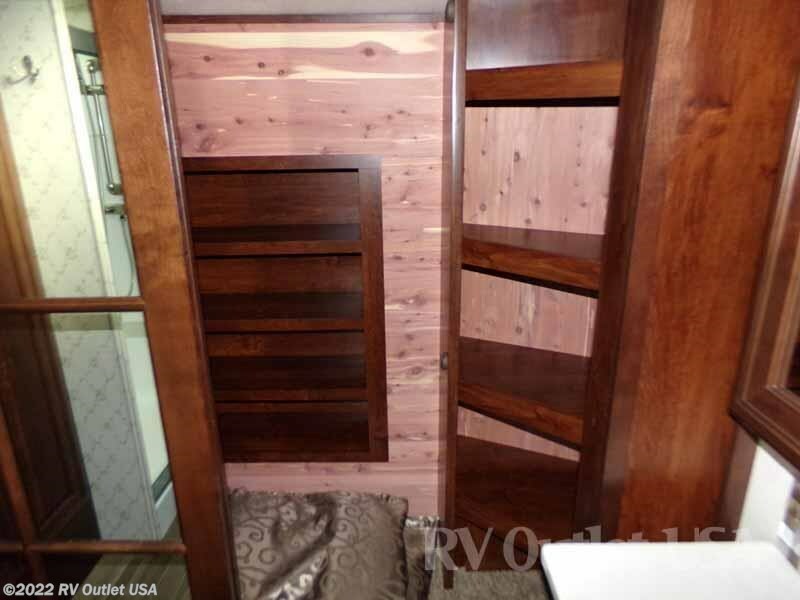 It has a king bed slide on the off door side and across from that is a dresser for clothes storage and has the master bedroom TV. 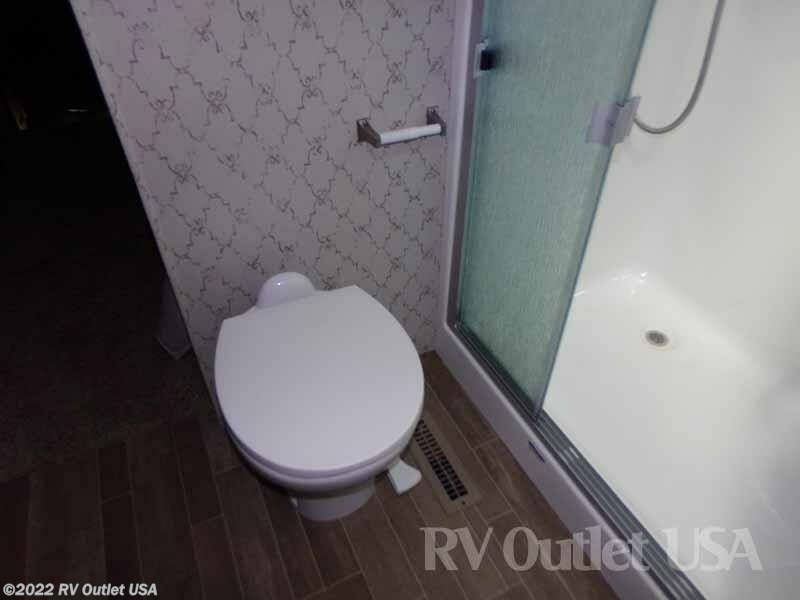 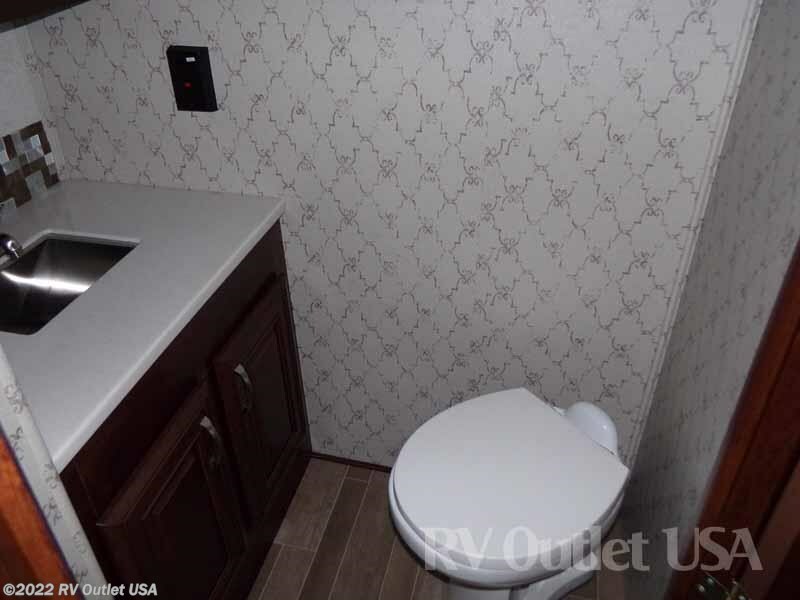 It also has a 1/2 bathroom in the living area for your guests! 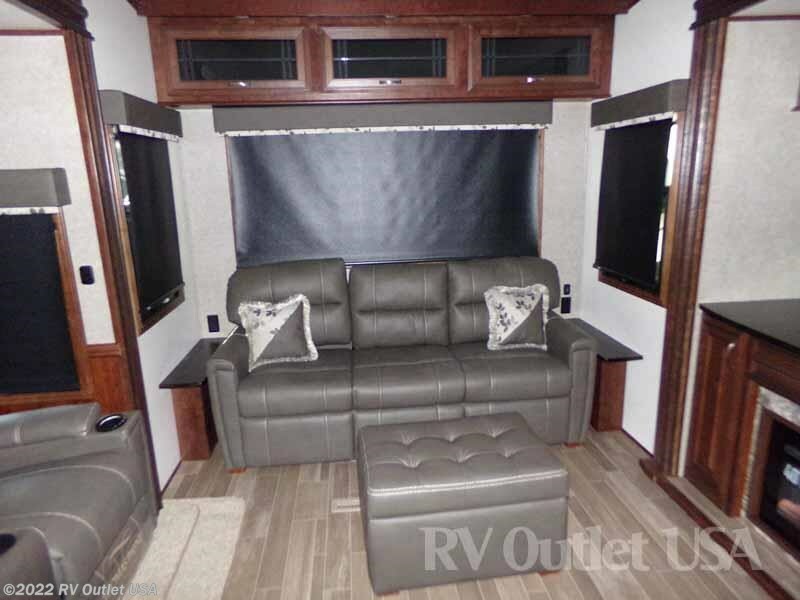 The living area on this coach is huge because of the two opposing slides. 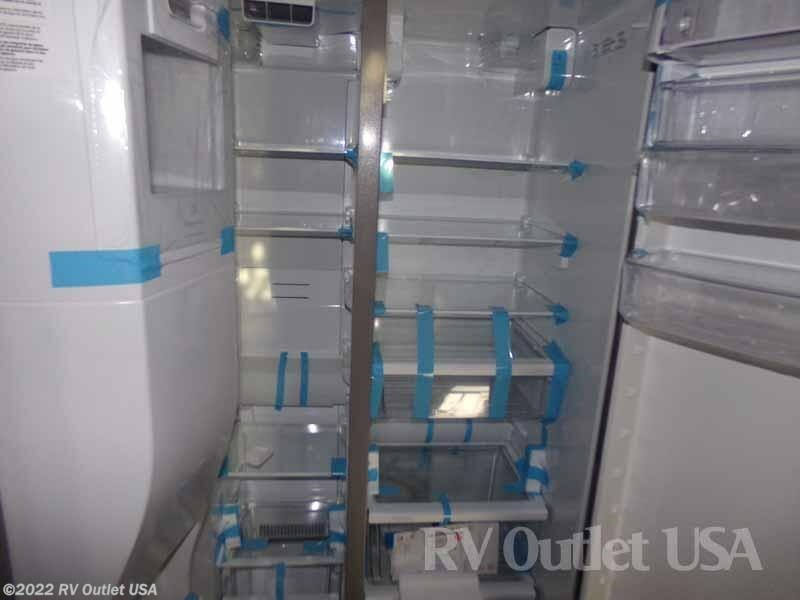 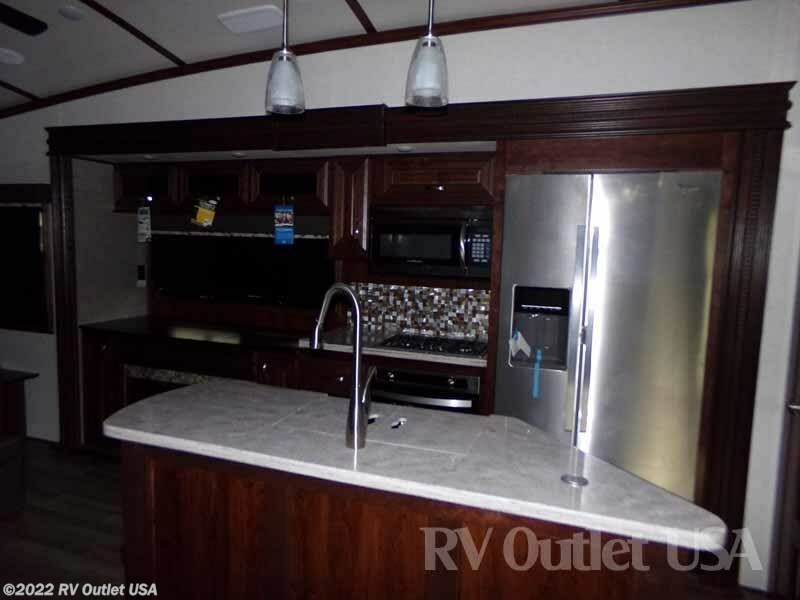 The slide on the off door side towards the front has a full galley (kitchen) with a residential refrigerator, a three burner stove top with oven, plenty of cabinetry for storage, and an overhead microwave. 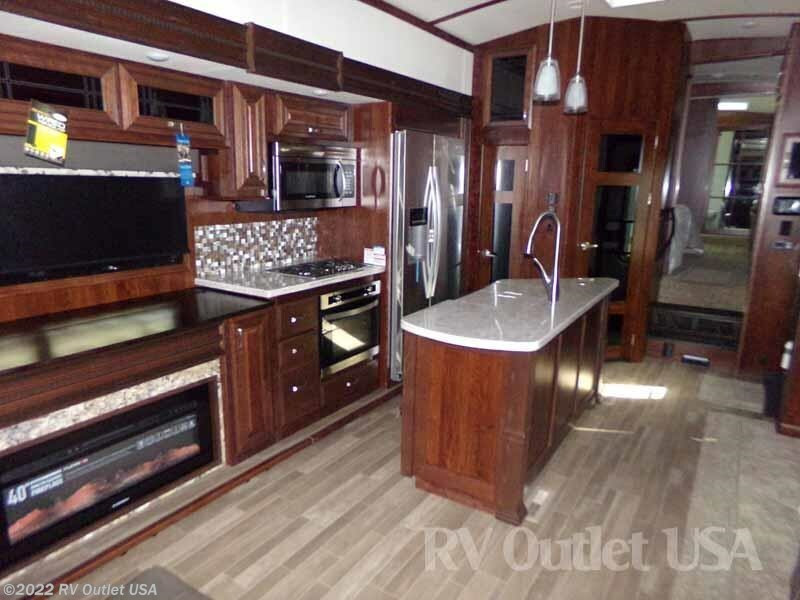 It also has a large pantry and a kitchen island with a double stainless sink with underneath storage as well. 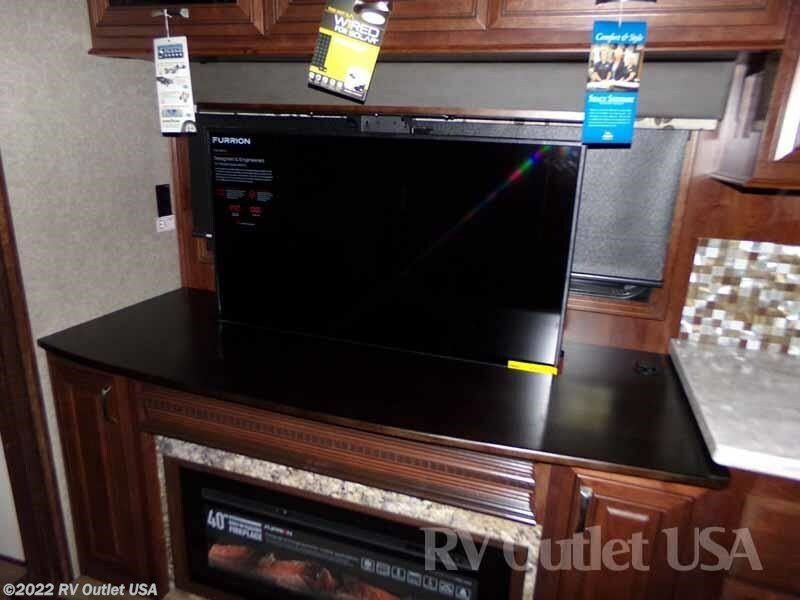 Towards the rear of that slide is the entertainment center which has a large LED TV and below that is electric fireplace. 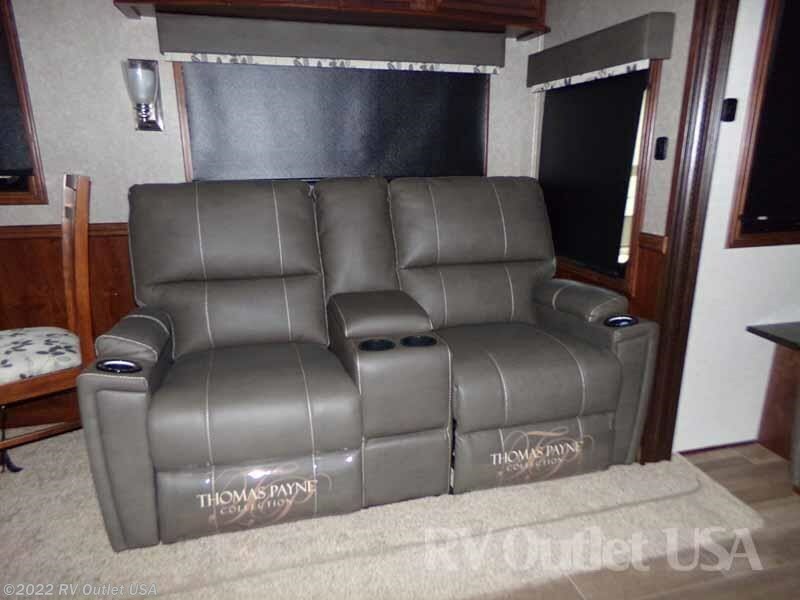 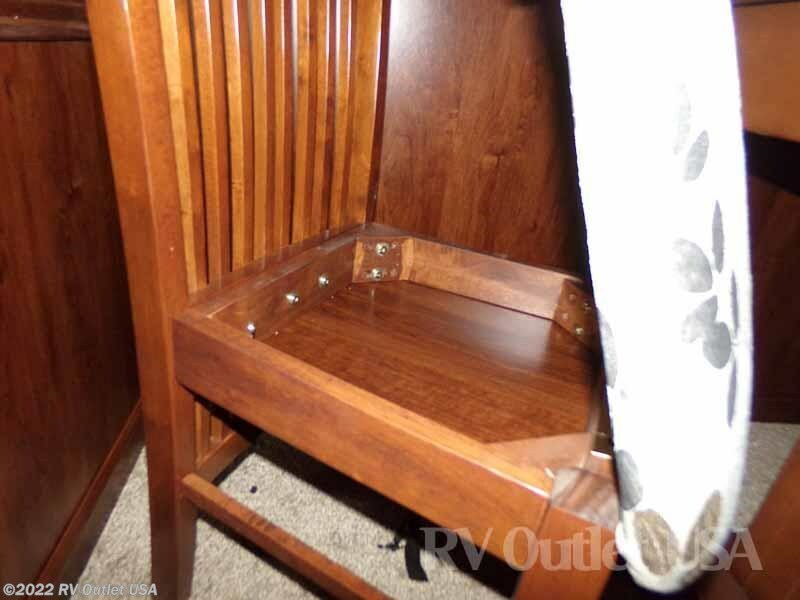 The slide on the door side has the freestanding dinette with four chairs and it has the theater sofa which faces the entertainment center perfectly. 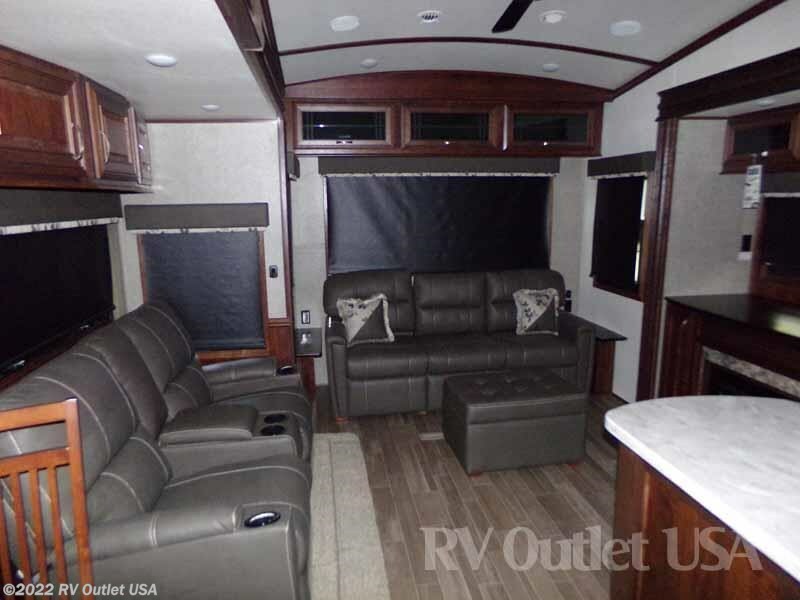 In the rear the coach is a tri fold hide-a-bed sleeper sofa with a matching ottoman. 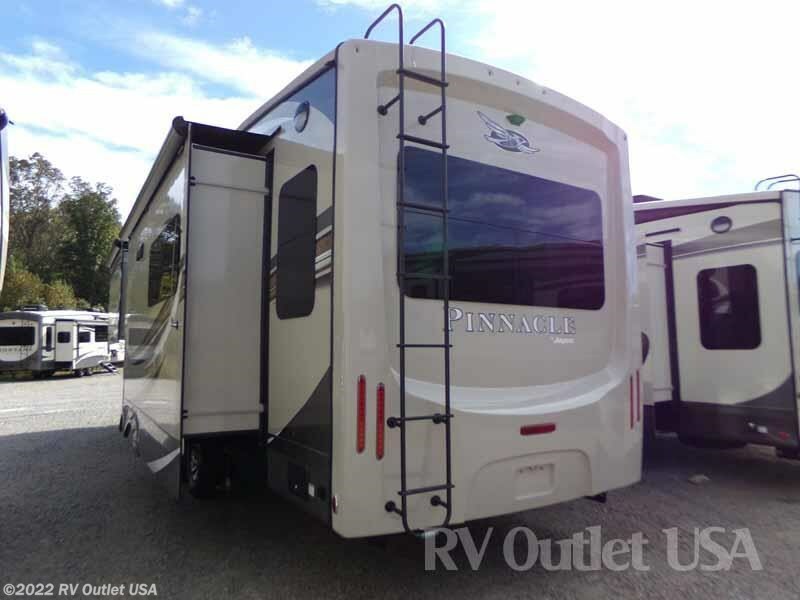 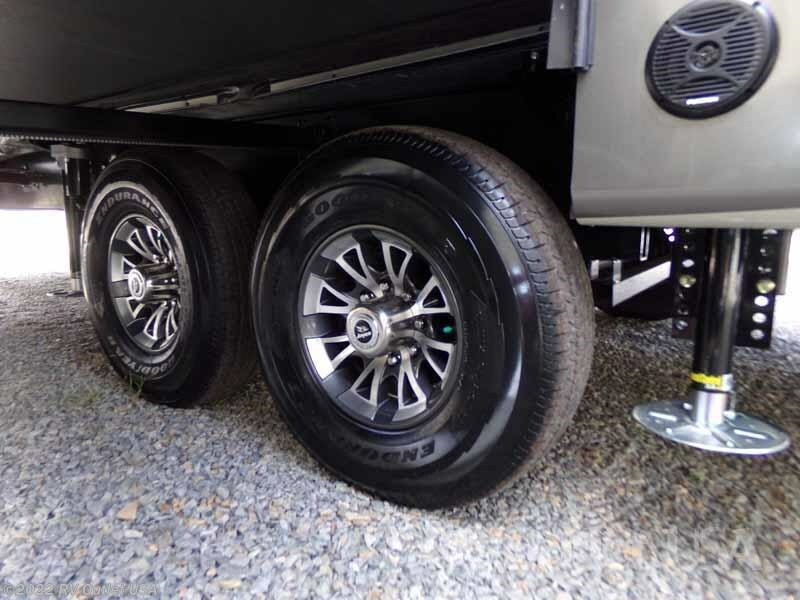 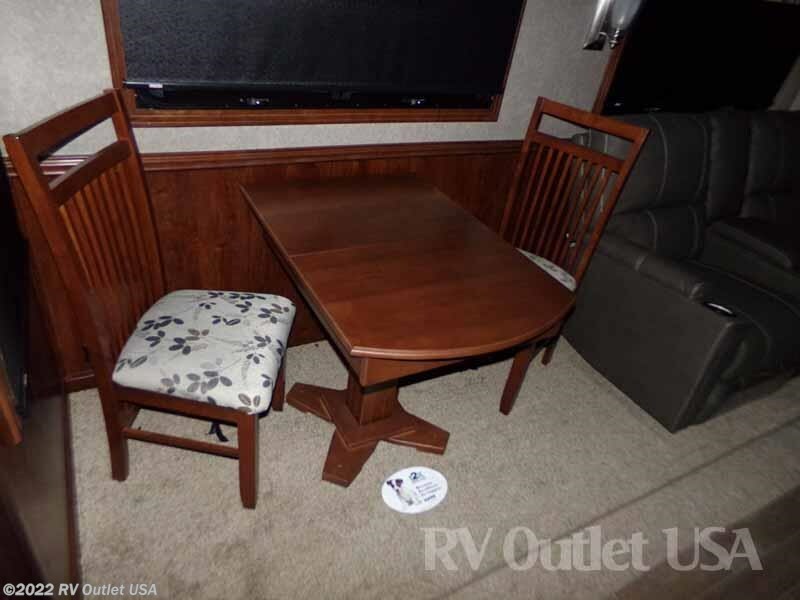 It's a really nice 5th wheel with a lot of nice features and options, here's a list. 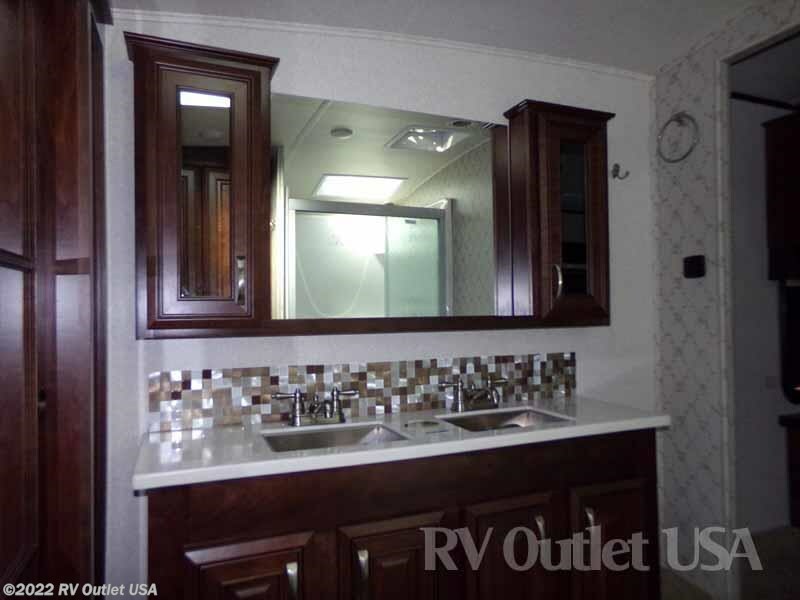 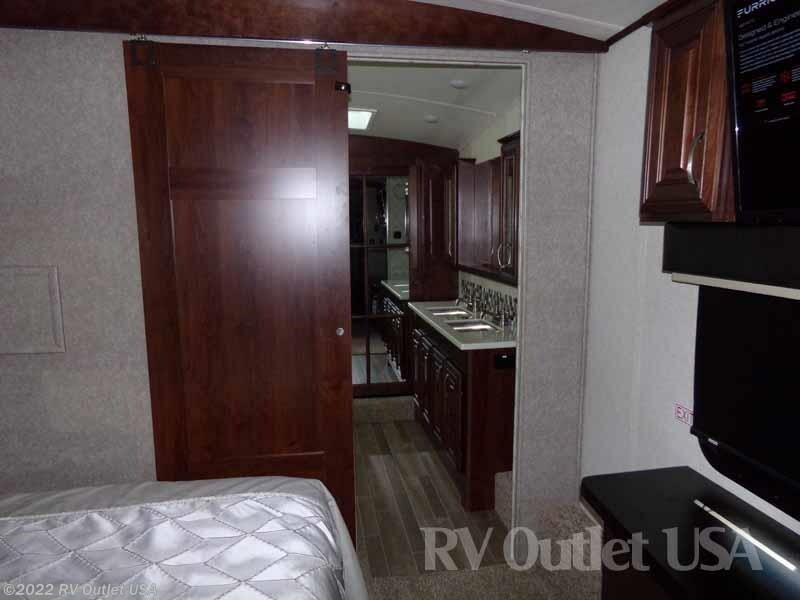 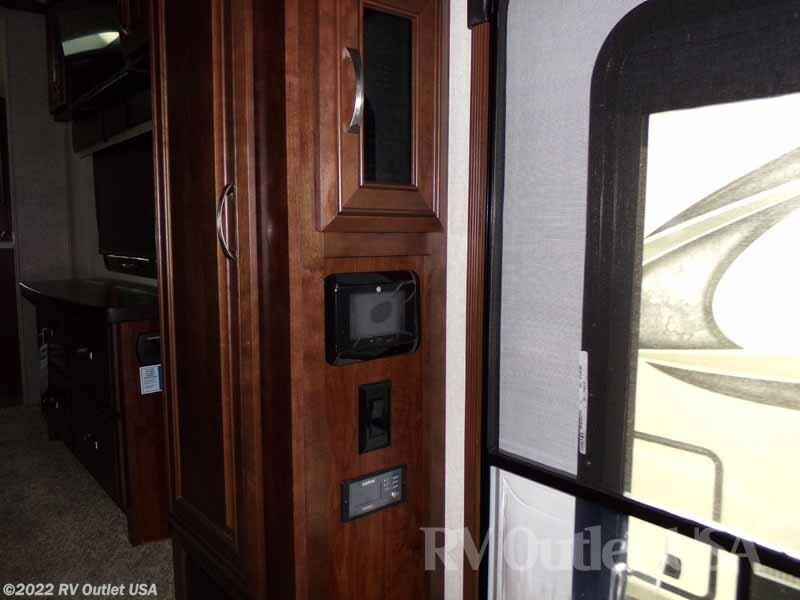 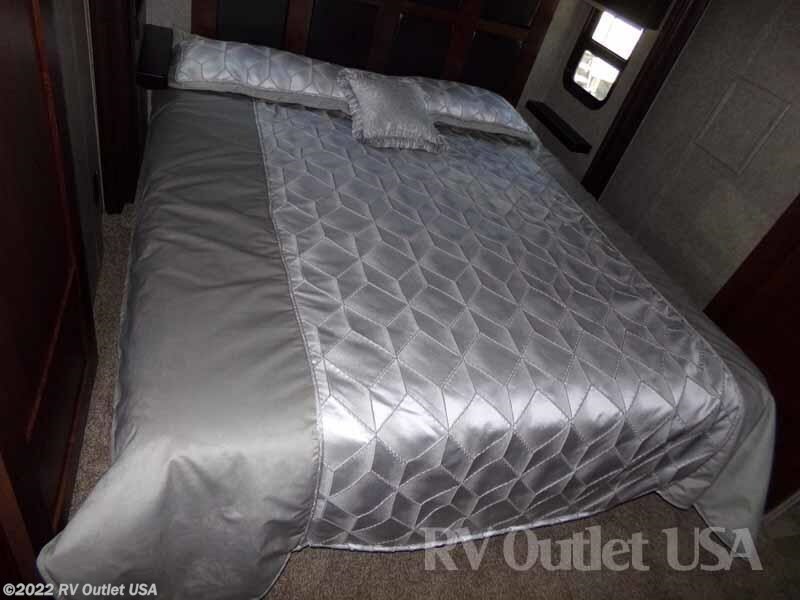 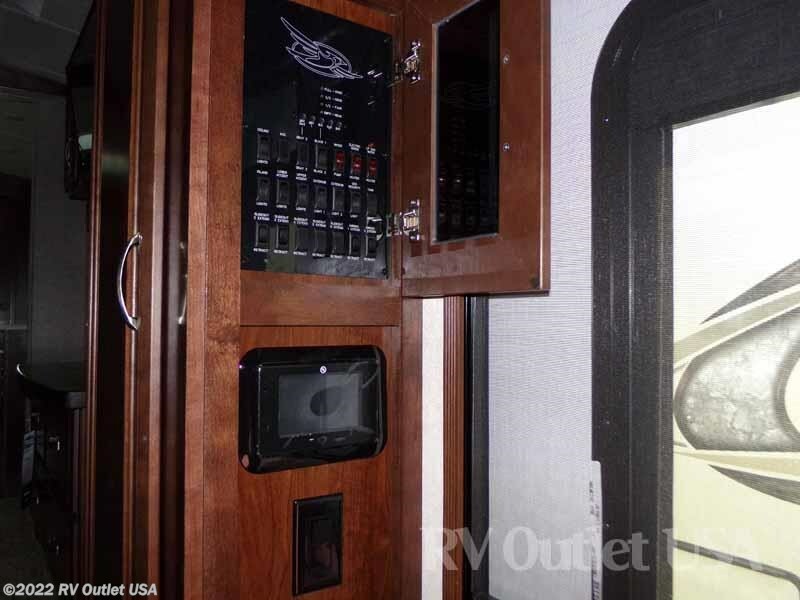 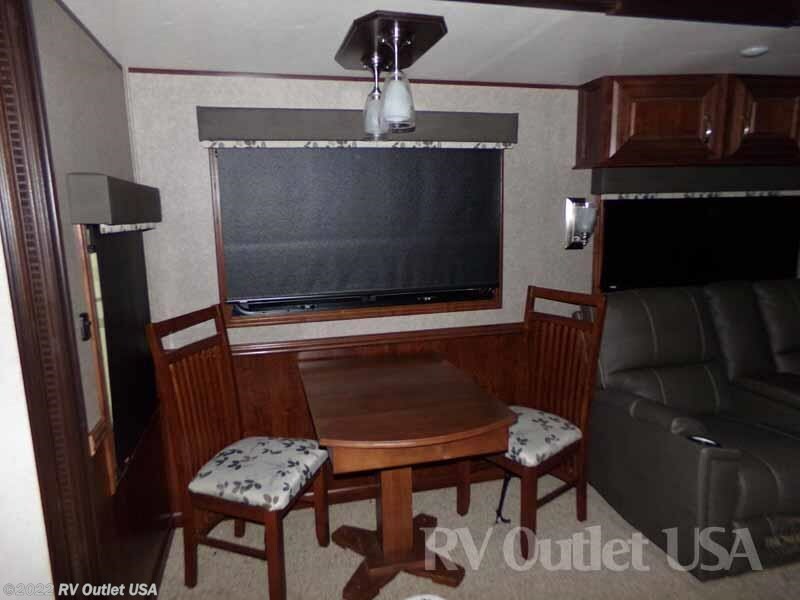 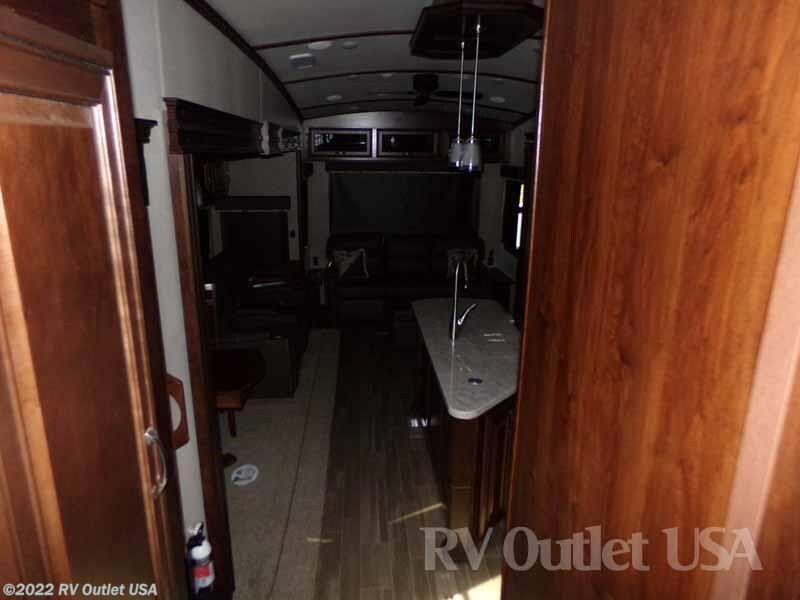 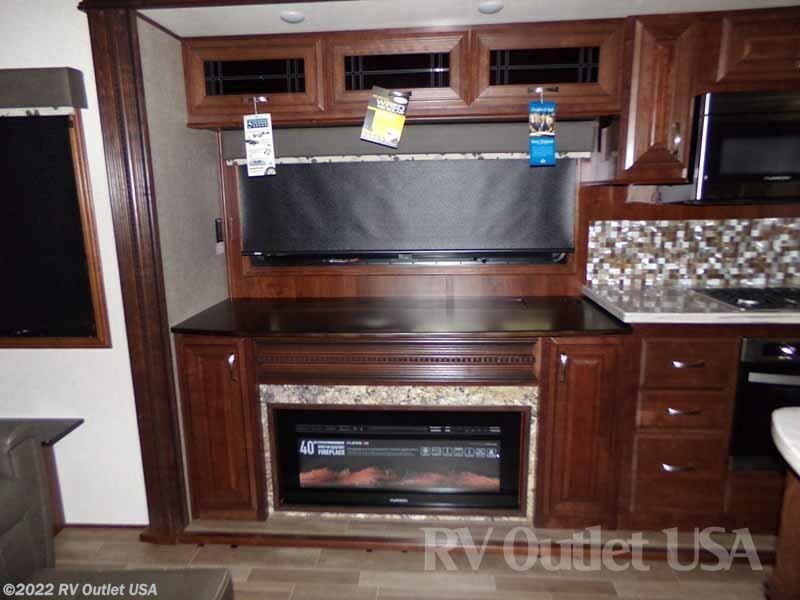 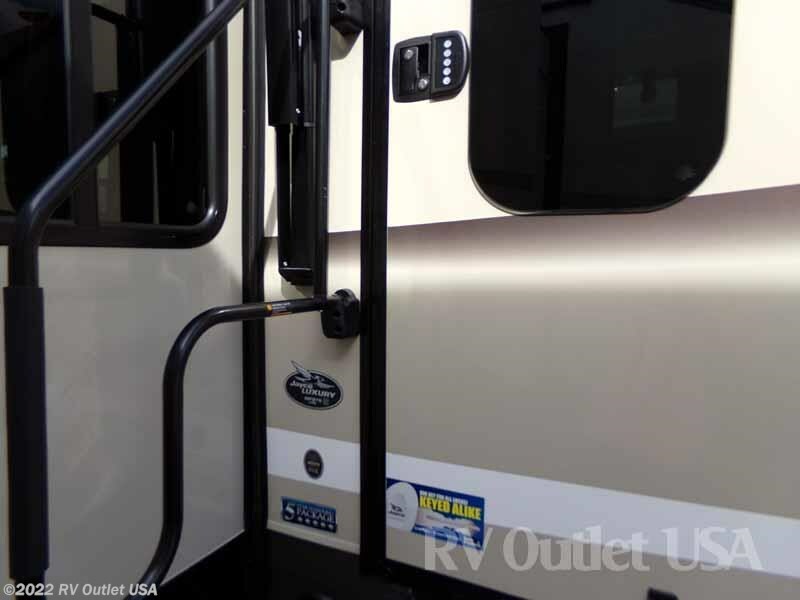 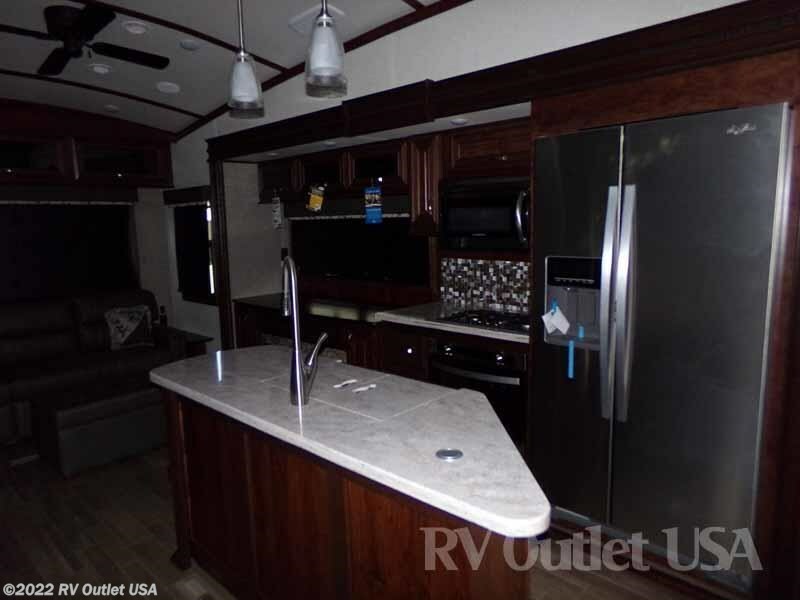 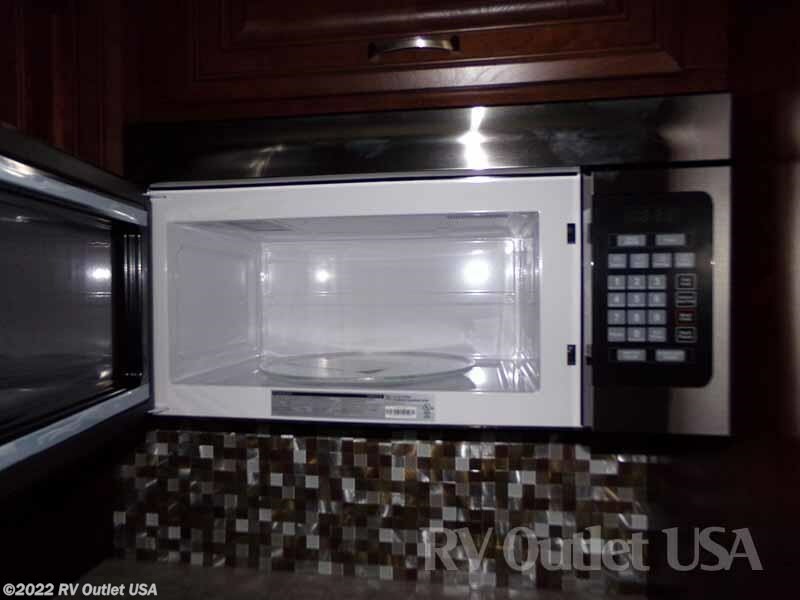 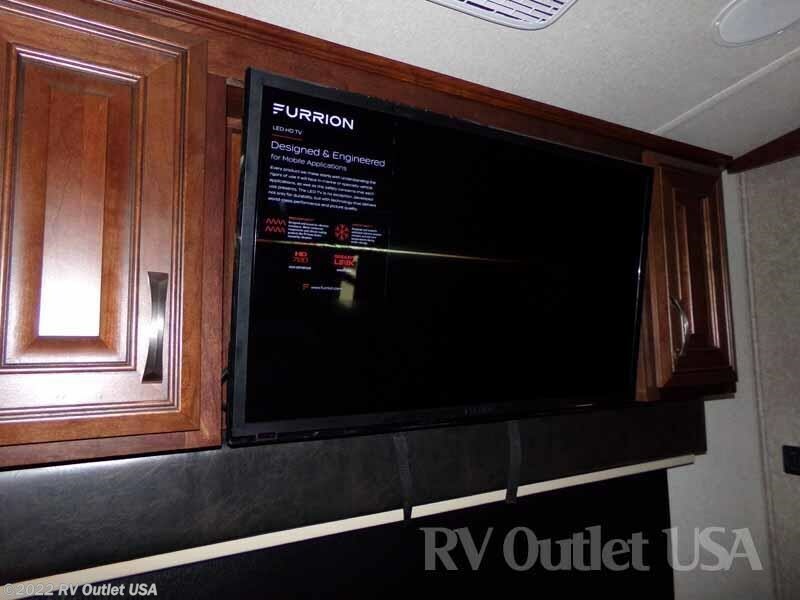 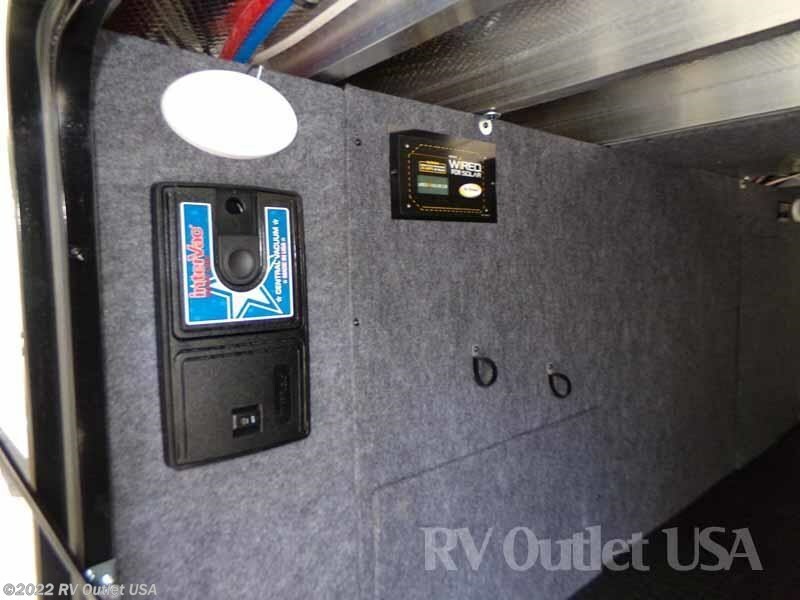 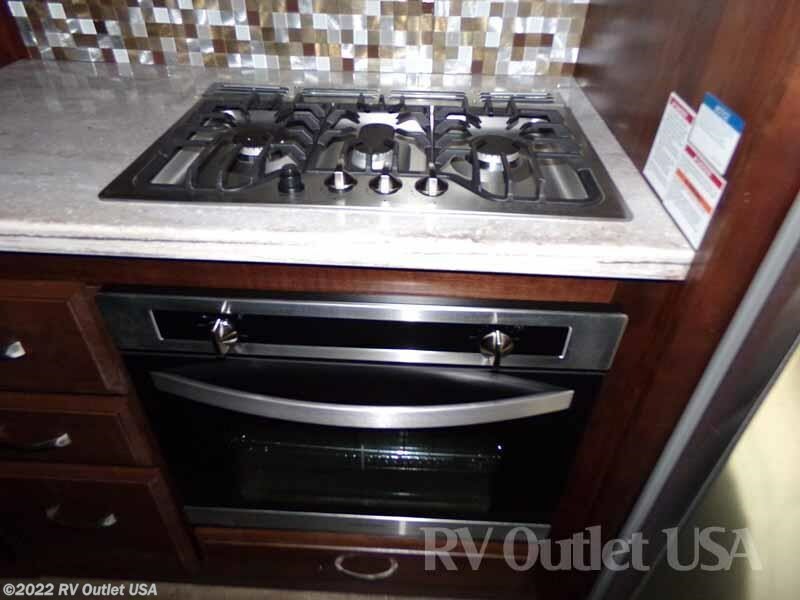 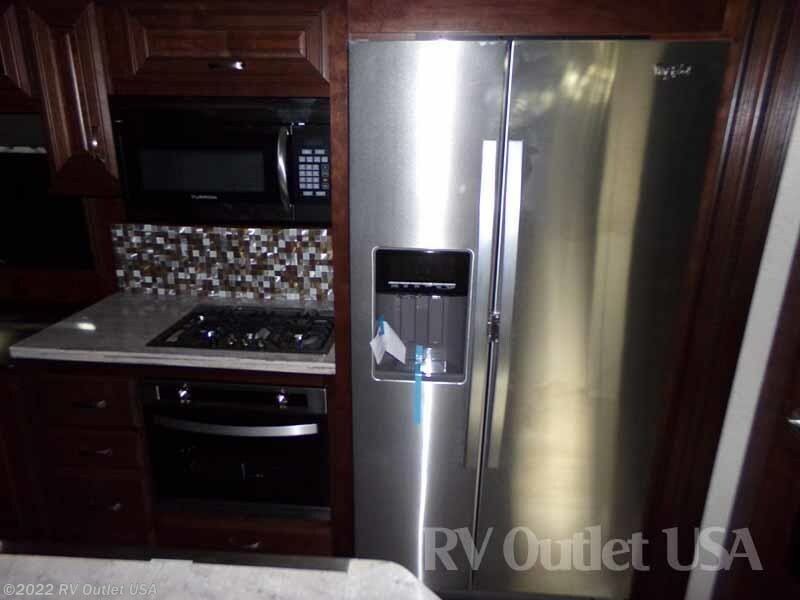 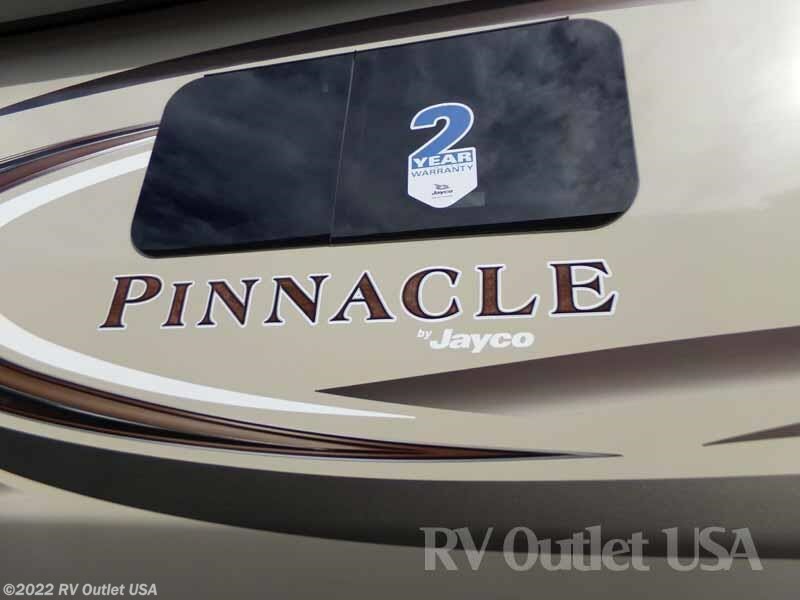 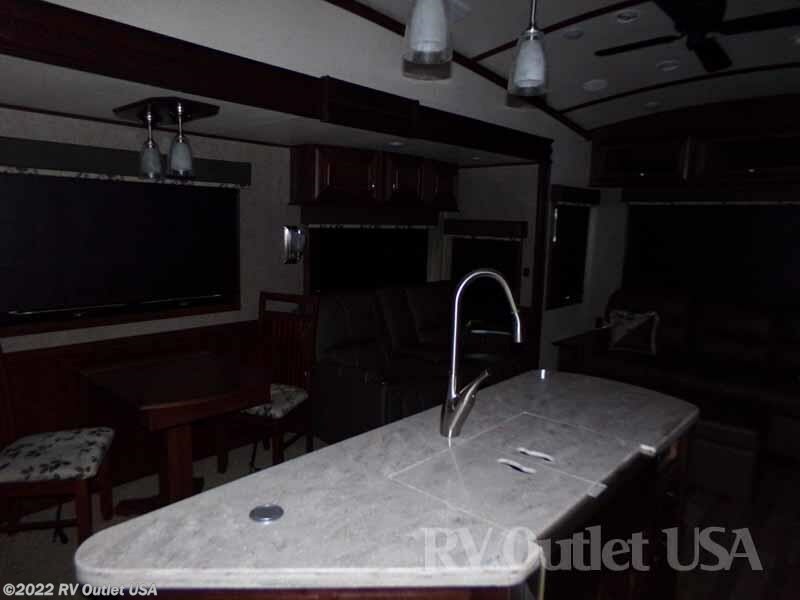 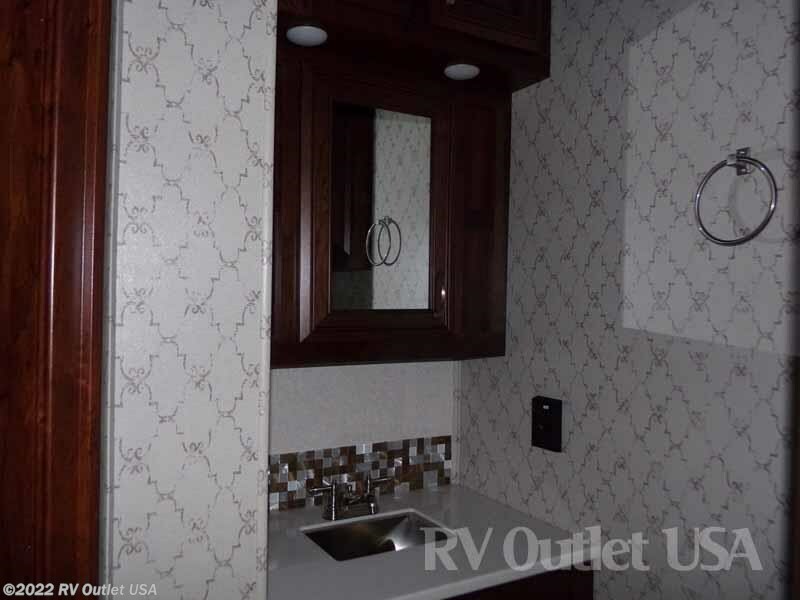 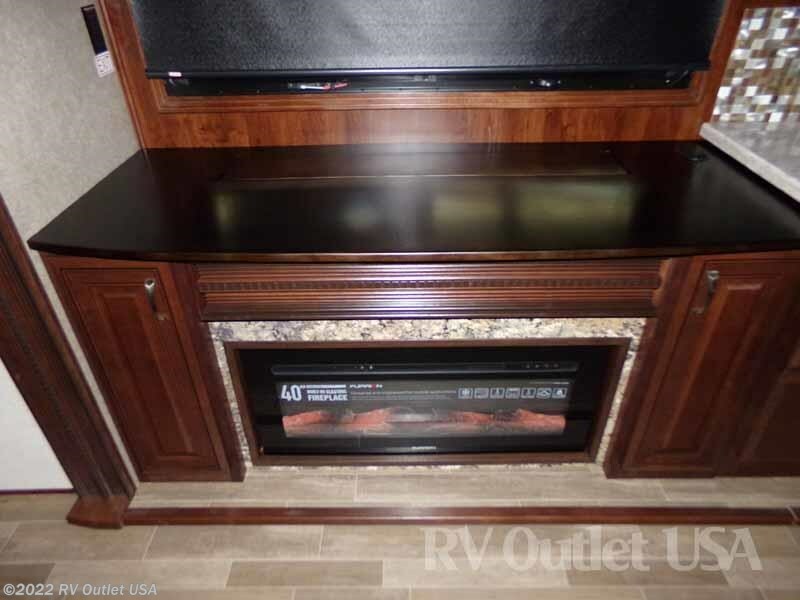 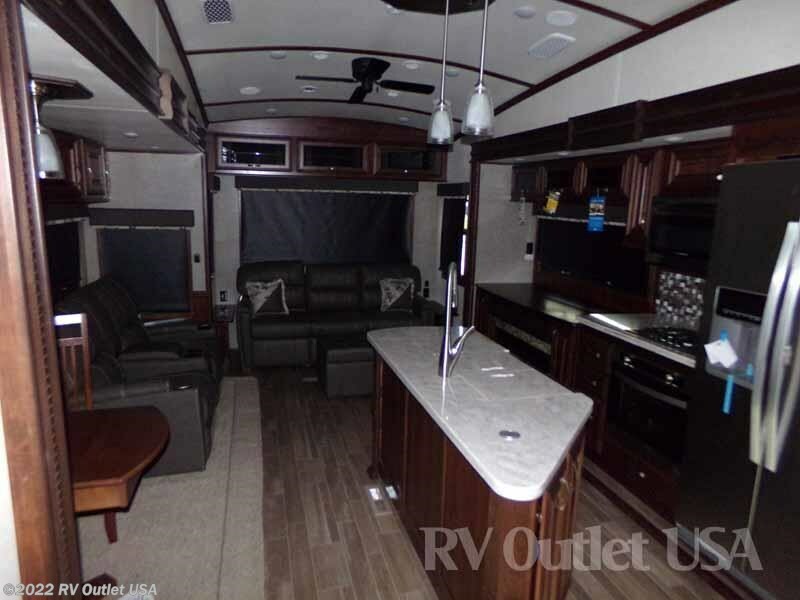 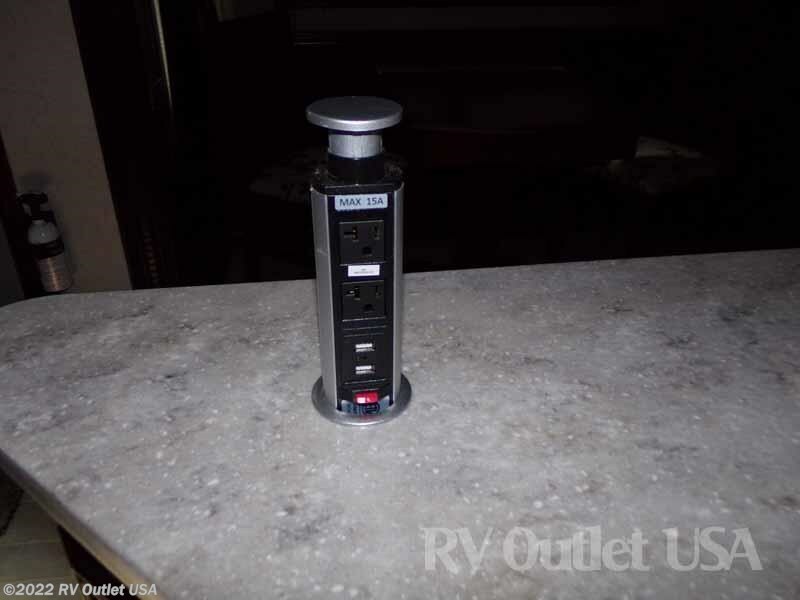 This coach has the CVP (customer value package), the Jayco Luxury package and the Pinnacle package,. 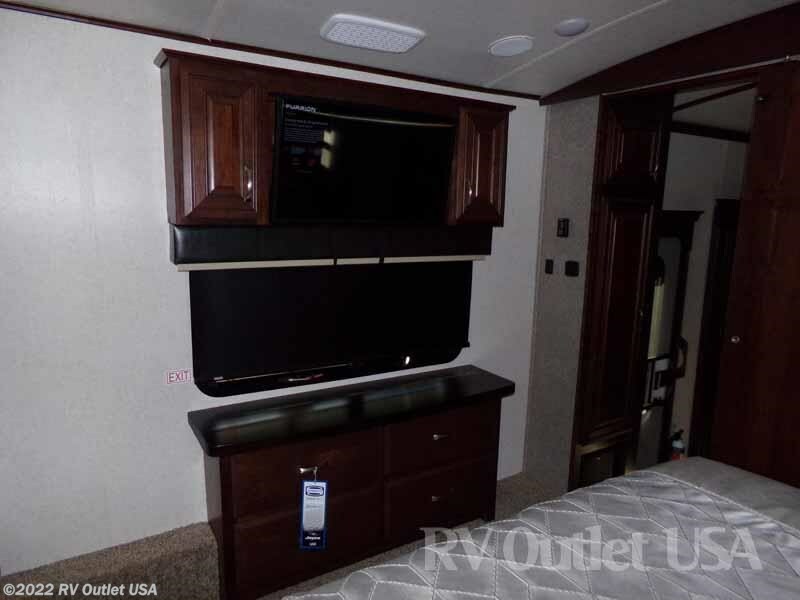 The interior color is Cashmere, it has a 15K BTU air-conditioner in the main living area and a low pro 15K BTU air conditioner in the master bedroom! 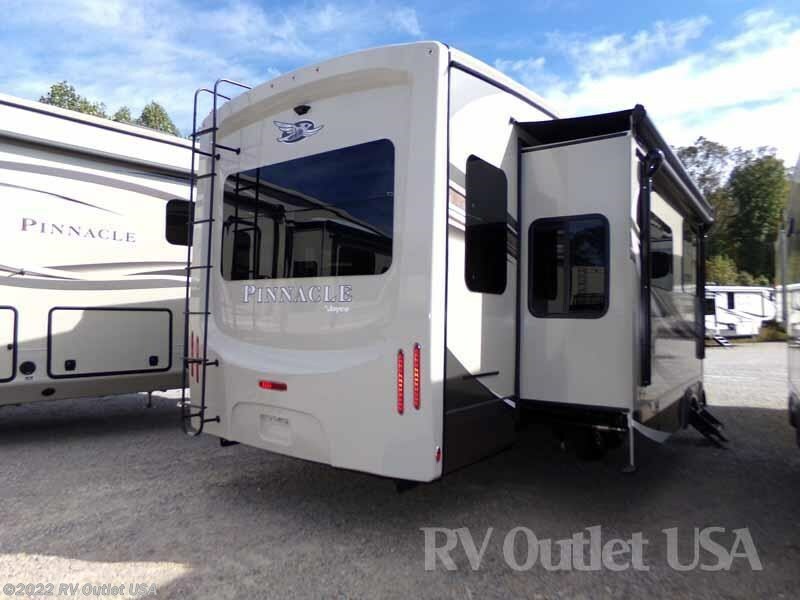 It has a 2nd power awning, and slide topper awning package! 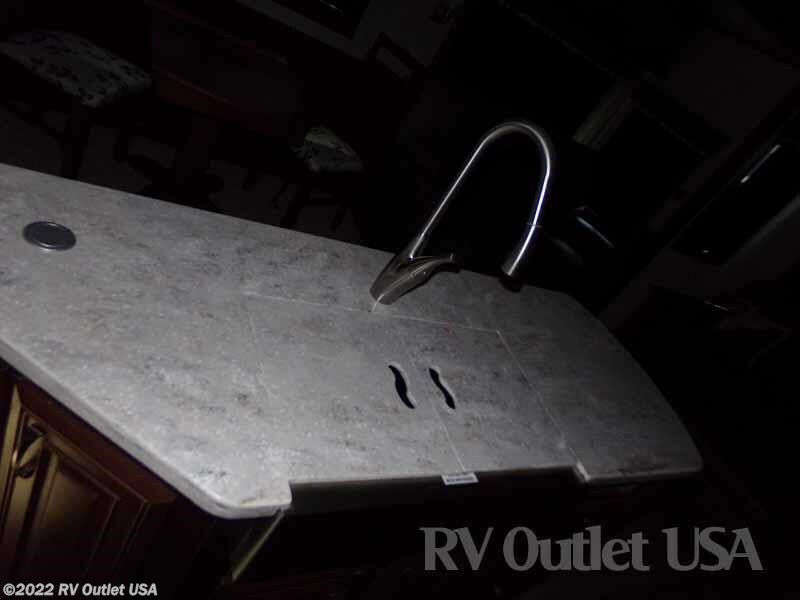 If we can answer any questions, please give us a call at 888-299-8565 and ask for sales. 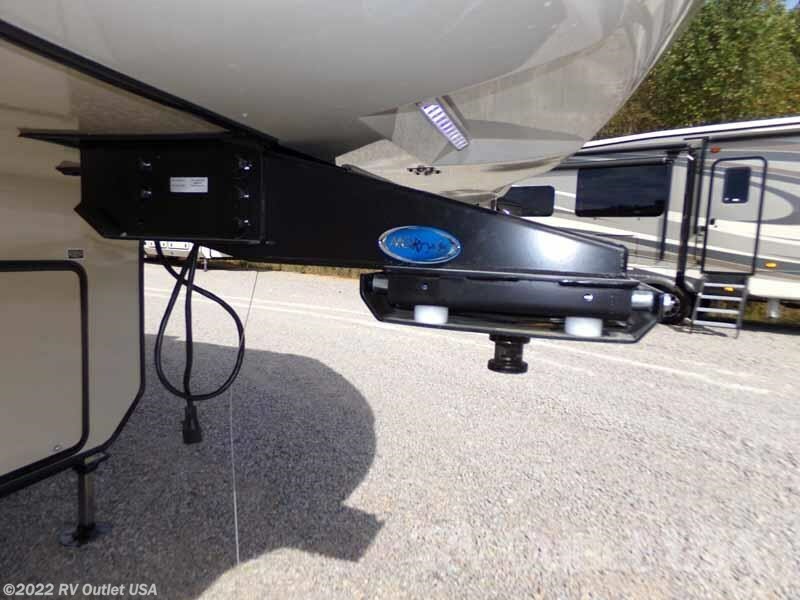 Please keep in mind we have no document or prep fees and we always offer our customers huge rebates on fifth wheel hitches, installation, parts and accessories. 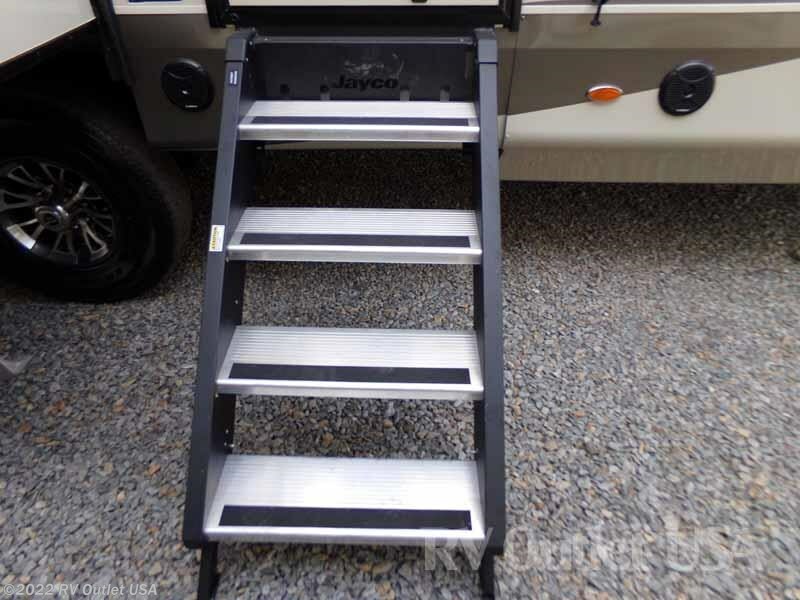 We will have the lowest Jayco prices in the country. 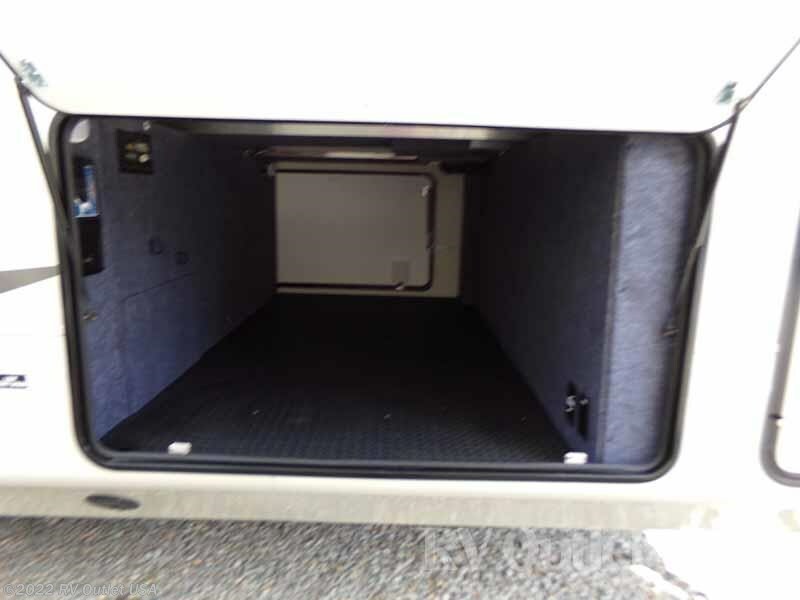 Please give us a call and will work hard to earn your business.